Hide deals from seller "Kioto Martial Arts Studio"
Limit 1 per person. Valid on 4 individual classes. Each class lasts 1 hour. Choices include karate, jiu jitsu, judo, kung fu and conditioning. New students only. By appointment only. Not valid on July 4, 2012. Promotional value expires 30 days after purchase. Sculpt your beach body in time for the 4th of July parties with the help of this deal for 50% off four martial arts classes from Kioto Martial Arts Studio in Bucktown ($600 value). Choose from karate, jiu jitsu, judo, conditioning or kung fu training for your four 1-hour classes. 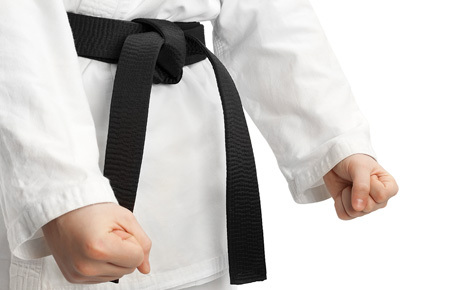 Kioto Martial Arts Studio has been teaching and training martial arts for the past 14 years. They offer physical and spiritual conditioning for all ages in both individual and group settings. Use these classes from expert trainers to shed pounds, learn self-defense or simply to pick up a new hobby. This family-owned studio offers a diverse group of disciplines that can whip you back into shape and add some flair to your lazy summer afternoons. A martial arts training studio in Bucktown that offers a variety of classes.